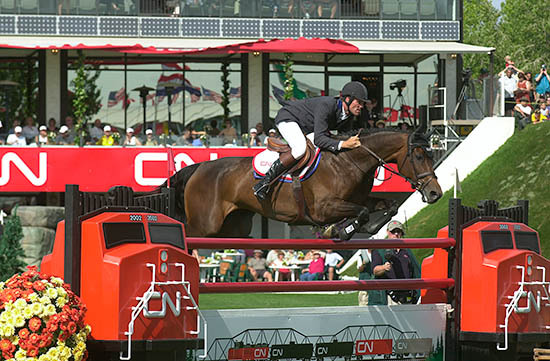 Jumping legend Fein Cera (Landadel - Cera x Cor de la Bryère, Stamm 3615) has lost a battle with colic. Bred by Harm Thormälen, she became a phenomenon under the saddle of US international Peter Wylde. An outstanding mare, she was the world's best showjumper at WEG in Jerez de la Frontera in 2002. In 2004, the pair shared team gold during the Athens Olympic Games with the US team. Having founded a very important mare line, Fein Cera died at the age of 28, having spent her last years with her breeder.